Towards the end of last year there was a huge amount of hype around some cute monkeys called Fingerlings. These adorable interactive little creatures would sit on your finger responding to sound and motion. 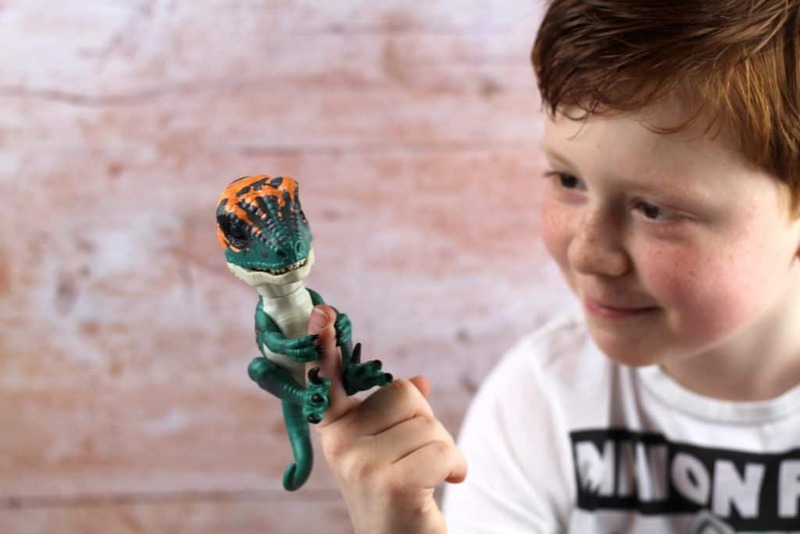 Although they were very cute Henry – who is almost seven didn’t really show much interest so I was surprised when he saw the latest addition the Untamed Raptor Dino and was beside himself with excitement. I have to admit that despite the fact this is a dinosaur it does not lose the cute factor in anyway shape or form. As with the monkey Fingerlings the Untamed Raptor Dino reacts to touch, motion and sound making it highly interactive. It fits snuggly on your finger like a pocket-sized pet and is often the cause of a few giggles and laughs! There are over 40 different sounds and animations including roars, hissing and snapping jaws! The Untamed Raptor Dino is battery operated (included) and suitable for ages five years and above. There is no set up required and you simply use the easy to access switch at the back of the Untamed Raptor Dino’s head to turn him on. Once your little one has finished playing you simply turn off the switch – it’s that simple. 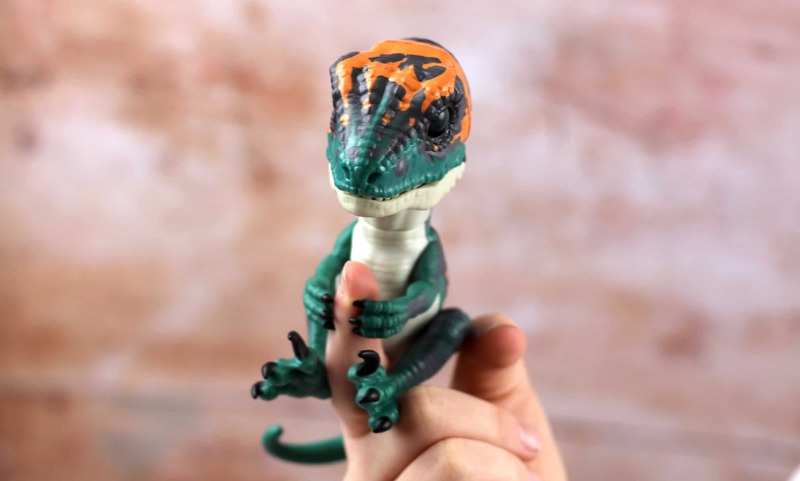 Each Untamed Raptor Dino is £16.99 and are available to buy from 26th March. Although I thought the Untamed Raptor Dino was cute I was worried that its appeal would wear off quite quickly. I wasn’t entirely sure how much scope a toy like this would have but the interactive element makes it very intriguing. I’m really trying to incorporate limited screen time for Henry so toys that keep him entertained are a bonus for me. Henry found the Untamed Raptor easy to play with and use without assistance or the need for a second player. It fits snuggly on his finger without being too heavy or loose and he can create different adventures using his imagination which is always good to see. These are great little toys that don’t take up much room or require any level of skill to play with. It’s a huge bonus for me when there is no fiddling with instructions or tiny screw drivers in order to get a toy set up. Seeing Henry use his imagination and spend some good quality time away from a computer or screen is also a win in my eyes. I found that the toy was hard wearing and durable it is likely to withstand a good amount of play which is reassuring as it’s often toys like this that take a battering. Price wise I would say that £16.99 is fair. There is nothing additional you need to purchase and once you open the packaging you are good to go. Although the toy is recommended for ages 5 and above I think even older children would find them fun and exciting to play with. 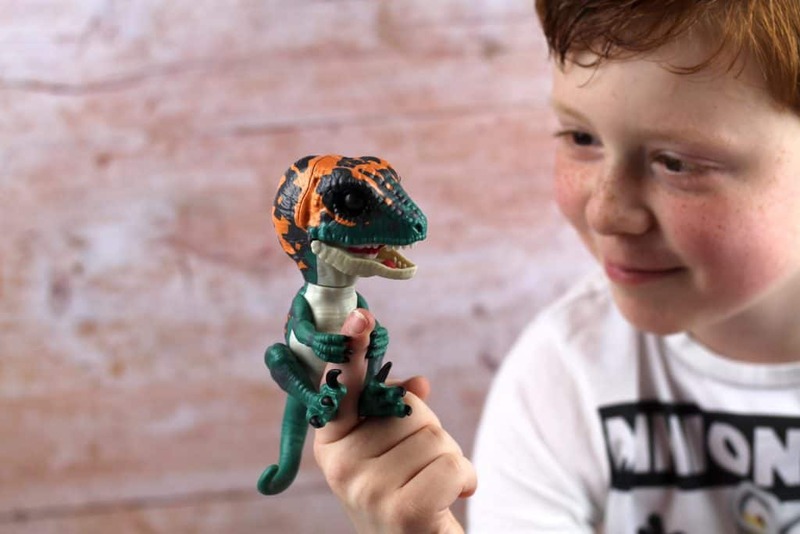 Find out more about the Untamed Raptor Dino and purchase your own from The Toy Shop, Smyths & Argos. 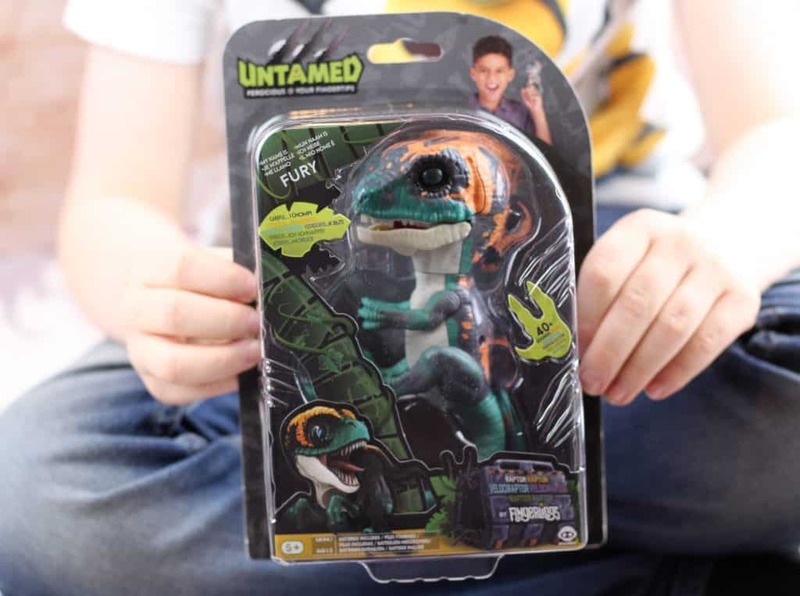 *We were sent an Untamed Raptor Dino on a gifting basis in return for an honest review. All words, views & opinions expressed in this post are honest and my own. For more information on any of this please visit this page.